Sometimes you might feel a bit insecure about yourslef. You might be thinking, "Oh, I need to wear something prettier, I'll never be like those models." Well, you're wrong. You are gorgeous from head to toe, and you don't need high fasshion to prove it. I mean, look at the set above. Tank top, leather/denim jacket, ripped jeans, clutchbag, and boots. Nothing fancy, but it will get you noticed. See what I mean when I say you don't need expensive clothes? You could wear your hair in loose curls like Beyonce's (below). ~ Hair : Whatever you want really. I suggest you curl your hair and put it on one side of your face, leaving no hair for the other. But that's just my opinion. Pretty much any hairstyle will go with this outfit, seeing as how it is very simple, nothing special. SHOUT OUT: Kira is making an all new website about Monkey Quest, an AWESOME game! (But I haven't played it. Shhh.... don't tell anyone. =D) Be sure to write POSITIVE comments on it, when it comes. Are you still getting over that horrible breakup? Well, stop being so miserable! He probably didn't even deserve you, anyways. My friends (you know who you are) always keep bugging me on how I don't have a crush and stuff like that, but I'm pride that I'm a SOLO ACT!!! And you should be, too! Here are my tips on how to show off yourself, and that you're proud to be what you are! ~ A flirty dress, preferably one of the hot colors, like red or hot pink. This is an example of the beautiful herringbone braid, also known as the fishtail braid. *NOTE* - The video shows an additional braid after they show you the herringbone braid. These outfits represent the world's wild children! This is a great summer look that is totally afordable. :D The song We'll Be Alright by Travie McCoy gives a shout-out to all the young, daredevils out there! 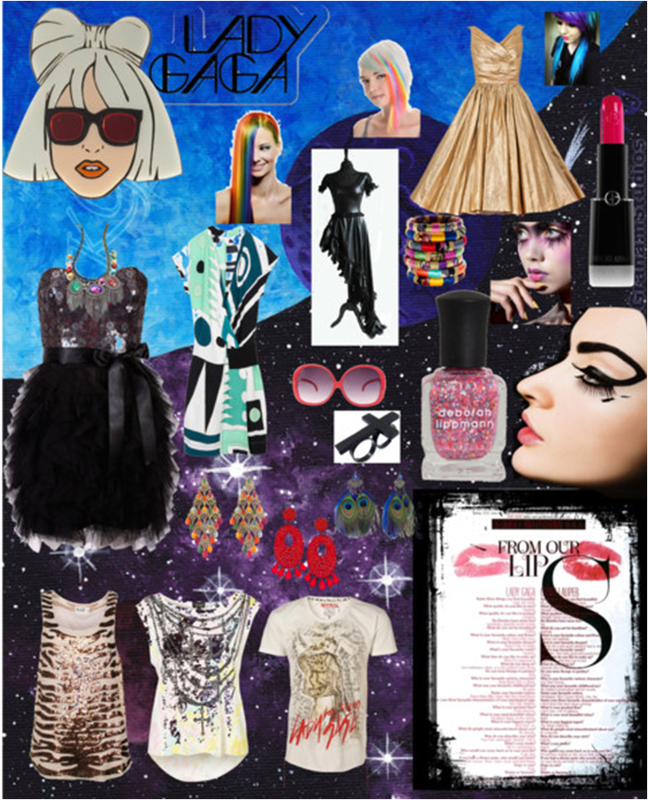 Gaga Style: Be a Little Monster! WARNING: Some videos may...actually, ARE inappropriate. CAUTION: This style might be a little TOO outrageous for some! Recently, I got glasses. (Read more in my blog!) At first, I was nervous about if they would look nerdy on me, but, luckily, I had had nothing to worry about at all! 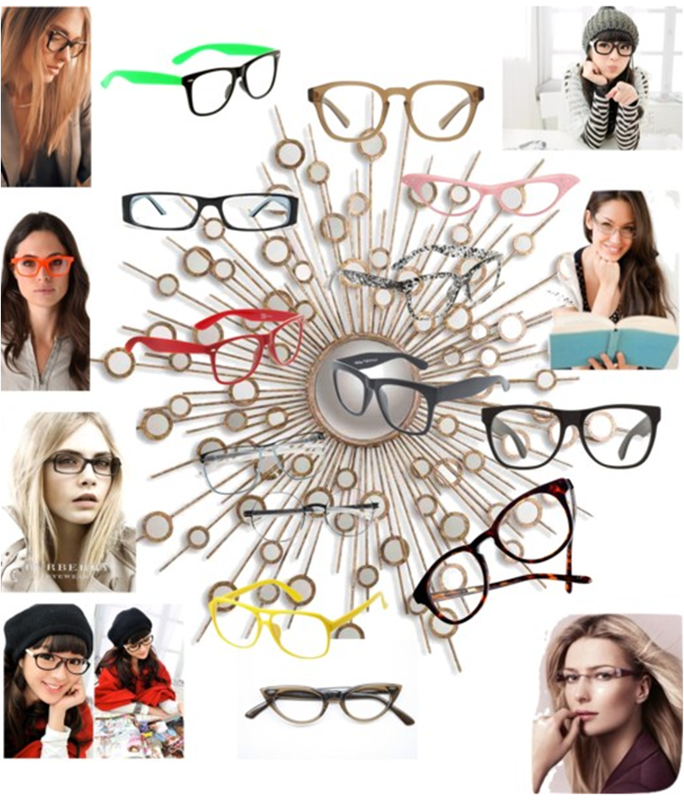 :D Glasses, I found, are really quite stylish and can add a LOT to your look, if you pick the right glasses for you. Mine are Coach glasses that have tortoiseshell side frames (that hook around your ears) with gold framing on the top half of the lenses, which are oval shaped. You sshould pick out a pair that really looks good with your face and natural coloring. With glasses, you'll look intelligent, cute, and fun! Going to the beach is a great way to show off your funky spirit, especially since there are lots of people swarming around. They won't be able to miss you! So sow em what you've got, I bet you'll make a splash! 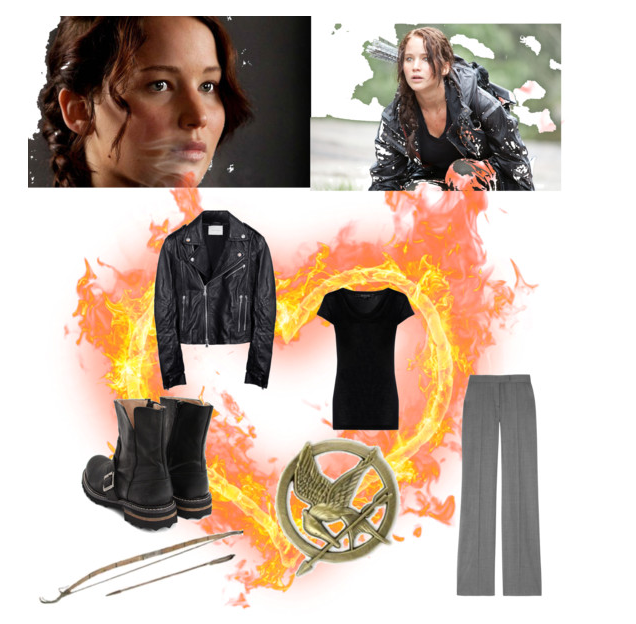 The Hunger Games, both a series of books and a hit new movie, is full of unique fashion ideas. 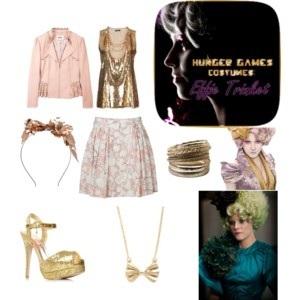 From the poofy, wild style that Effie Trinket rocks to the simple hunting style, you can get these amazing styles for yourself! Just use your imagination, and don't be afraid to stand out! 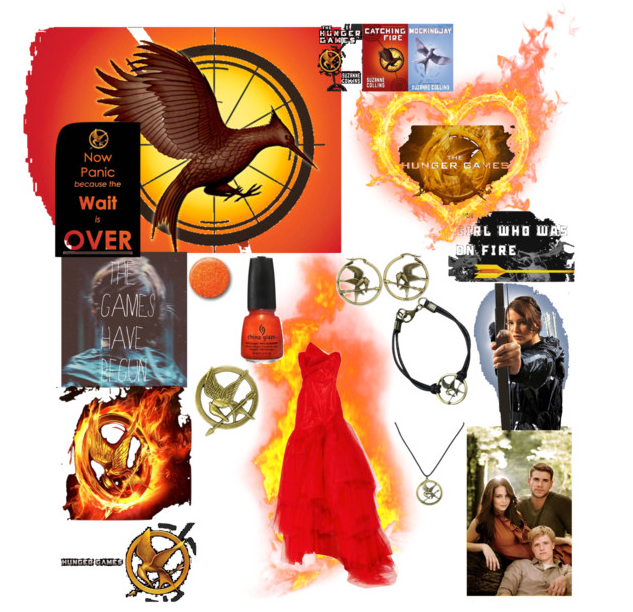 As a cool Hunger Games touch, why not add a mockingjay pin or maybe even mockingjay earrings? This you can where any day. 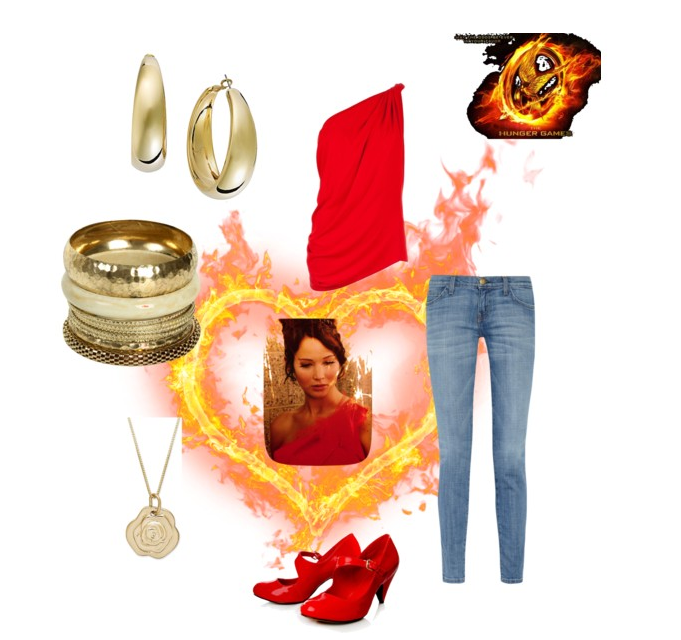 Basicly, you'll need a red shirt, jeans, red shoes, and gold jewelry. It's as easy as that! ~ yellow, light pink, light blue, and light orange are all colors that are awesome for this style. In fact, all light colors are! 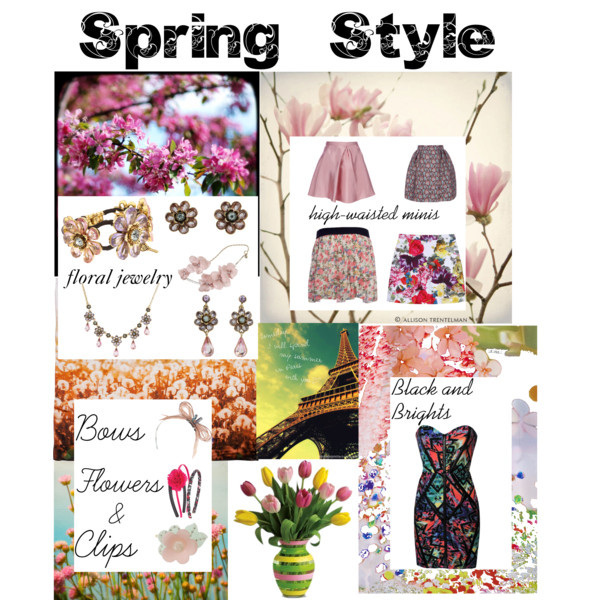 Spring Style: Look Fab and Fresh This Spring! 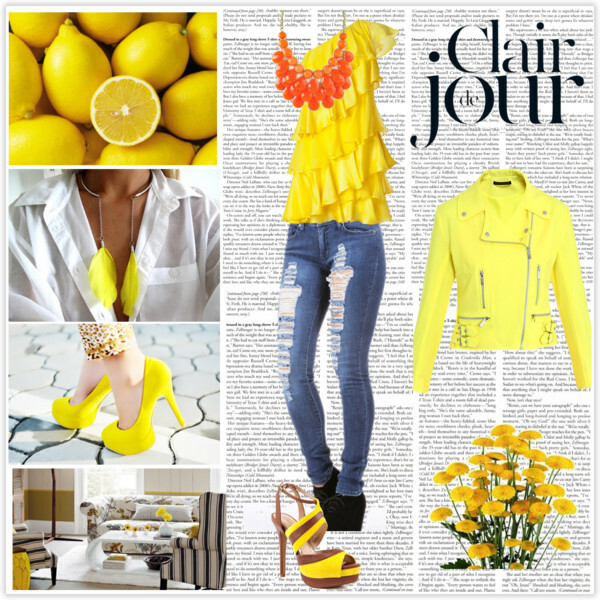 FLORAL JEWELRY: The main thing spring is associated with is flowers. Why not associate your jewelry box as well? Be the essence of spring by wearing floral jewelry this season. There are many, many, MANY floral pieces of jewelry out there, so it deffinitely won't be hard to find some spring accessories. Try going with pink or purple tints, and maybe even pick out some jewelry that goes accordingly to your outfits. HIGH-WAISTED MINIS: Look cute and fun in these adorable skirts! The best of these skirts are in floral prints, especially when it comes to this spring style. To perfect the look, try pairing one of these skirts with a plain black top and flats. BLACK AND BRIGHTS: Bright spring colors go perfectly with black. The black actually amplifies the bright colors, making your outfit and you really stand out. You may try wearing a colorful skirt, a black shirt, black flats, and a black headband. Or, maybe a colorful dress and black accessories. BOWS, FLOWERS, AND CLIPS: These fun accessories add the perfect touch to any spring outfit. Try getting these accessories in colors to match your outfits. This will make you look exceptionally glamorous. These also come in handy when keeping your hair out of your face.